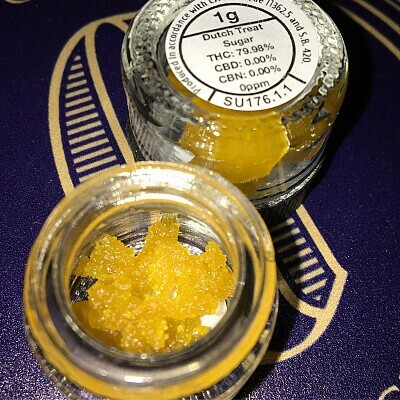 Dutch Treat Sugar wax! This concentrate packs an amazing punch and has a delightful piney aroma. Try it, you're going to love it! Testing out at 79.98% THC.